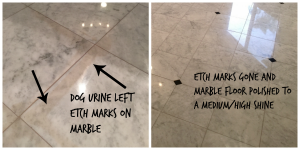 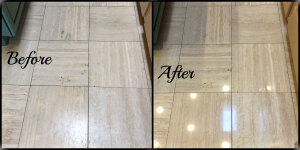 Our Limestone Cleaning Gallery showcases spectacular before and after pictures of our work. 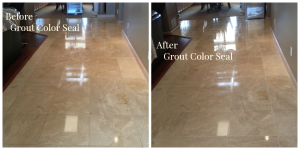 Limestone is similar to travertine and must be maintained in much the same way. 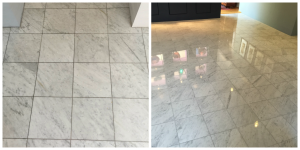 Limestone can be highly polished to resemble granite or highly polished marble. It can also be left rough and unfinished to achieve a more natural rustic look. 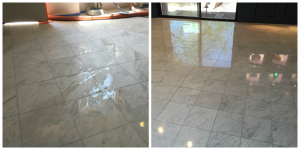 Note that a highly polished finish requires more frequent maintenance in order to maintain an even shine. 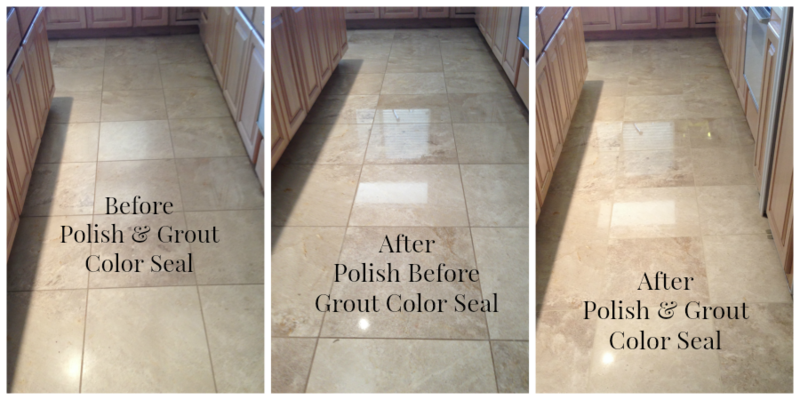 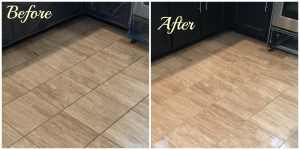 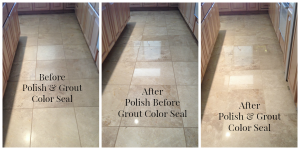 In the picture below, we cleaned the grout, polished the tile using our acid polish process, color sealed the grout lines and finally sealed the entire tile with a solvent based sealer. 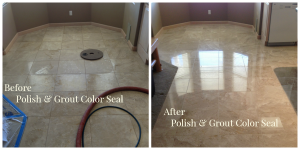 This service restores the floor to a “better than new” appearance! 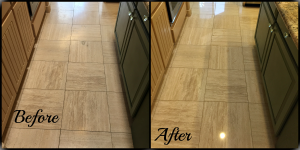 Scroll down to see additional limestone cleaning pictures. 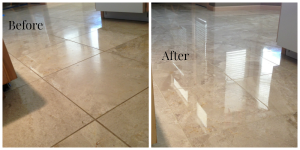 Call Today for your free estimate!